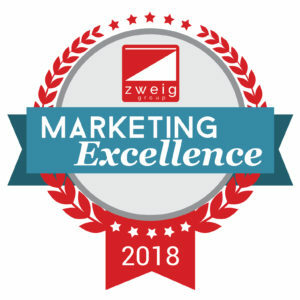 We are pleased to announce that our website has won a 2018 Marketing Excellence Award presented by the Zweig Group. Launched in the Spring of 2016, the new website better reflects our brand and the culture at Falcon, it provides relevant and informative information in a concise manner, it is compatible with all mobile and tablet devices, and the site navigation is intuitive even for the most novice of users. 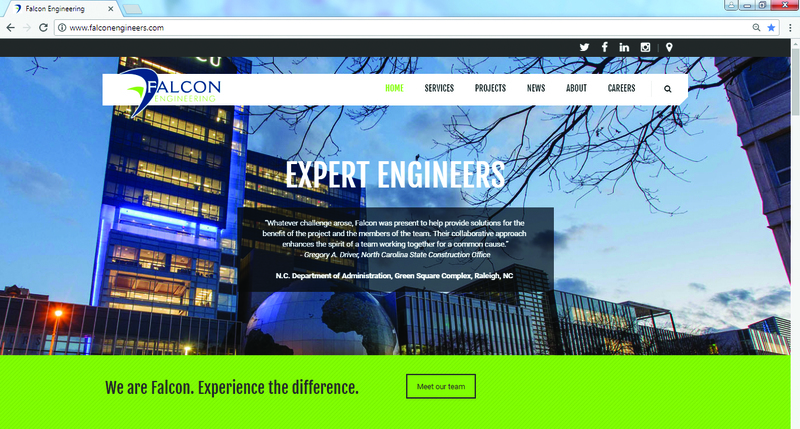 Falcon worked with S&A Communications (S&A) in the development of the website. S&A has also submitted our website design for award competitions within the Marketing Communications and Public Relations industry. In total, the site has received five (5) awards since it’s launch in 2016. The Marketing Excellence Awards recognize outstanding and effective marketing in the architecture, engineering, planning, and environmental consulting industry. Awards were given in the categories of social media, holiday, special event, internal marketing, external communication, integrated marketing, proposal presentation, video marketing and website.